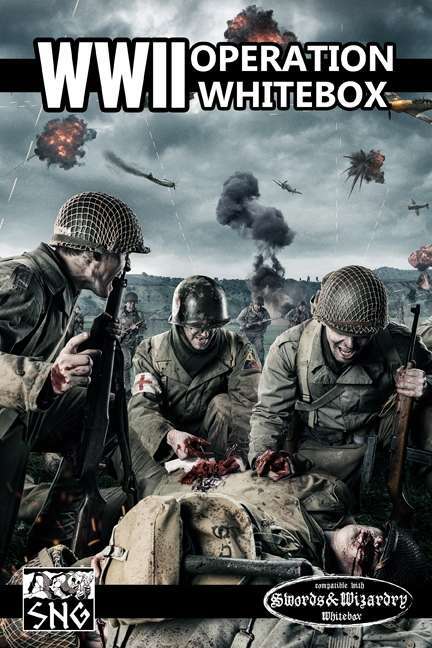 Today's Deal of the Day at RPGNow is WWII: Operation WhiteBox. If you've ever been interested in mixing some modern warfare with your Swords & Wizardry rules, WWII: Operation WhiteBox is where you should be looking. Normally priced at $7.99 for the PDF, you can grab your copy of WWII: Operation WhiteBox for $3.20 until 11 AM tomorrow morning.